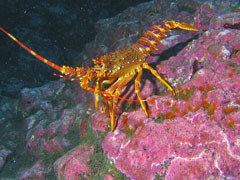 While Tristan da Cunha is famed for its birdlife, its isolated position means it has an interesting array of marine life, plant life and land invertebrates. 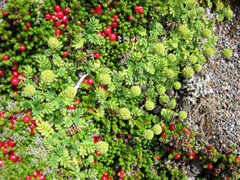 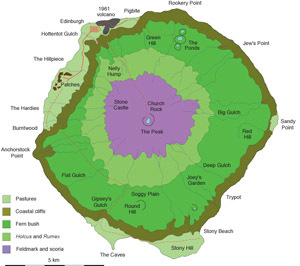 The Tristan da Cunha group's varied terrain supports pasture, lowland tussock grass, fern bush, Phylica woodland, grass slopes, and sparsely vegetated ash slopes. 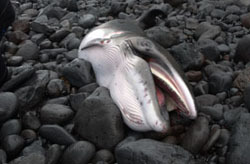 Details of species of Cetacea (whales and dolphins) that have been observed around the Tristan da Cunha Islands. 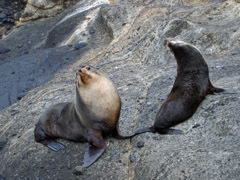 Two species of seals breed in the Tristan group: subantarctic fur seals and southern elephant seals.